"Western Highlands Provincial Police Commander Jacob Kamiak condemns the attack saying such actions are uncalled for." A police officer is nursing his jaw after a bottle was thrown at him with his vehicle windscreen smashed following an attack yesterday in Western Highlands Province. 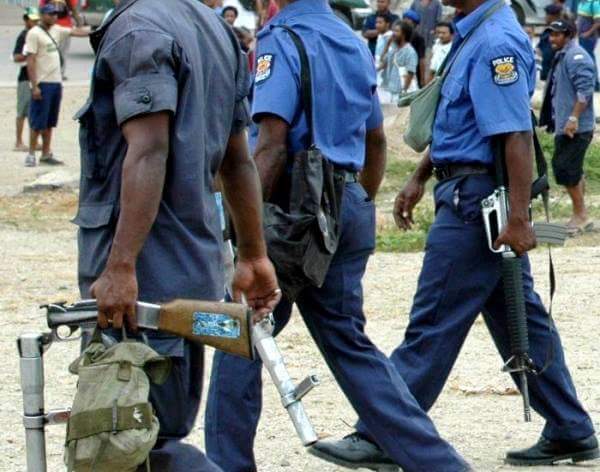 Provincial Police Commander Chief Inspector Jacob Kamiak said the officer is stationed at the Dei Council Police Station and was returning from Kudjip when locals along the road attacked him. PPC Kamiak condemned the actions of locals stressing that people must understand that police are here to help and such actions are uncalled for. “People must not take law into their own hands, people must report to police superiors if they have issues with certain police officers, “Kamiak stressed. PPC Kamiak said a suspect has been arrested on the same day and charged for assault and damages. He said police are yet to establish the nature of the incident adding that investigations have commenced.